NFL fans have reacted to the news that male cheerleaders will perform at the Super Bowl for the first time, with some claiming their debut will be a serious reason not to tune in to one of sport’s biggest extravaganzas. Quinton Peron and Napoleon Jinnies will be cheering for the Los Angeles Rams next Sunday as they take on the New England Patriots at Mercedes-Benz Stadium in Atlanta in an uncompromised battle for the prestigious trophy. The two cheerleaders will make history by becoming the first male dancers in the NFL history to appear at the championship game, performing the same routines alongside women. 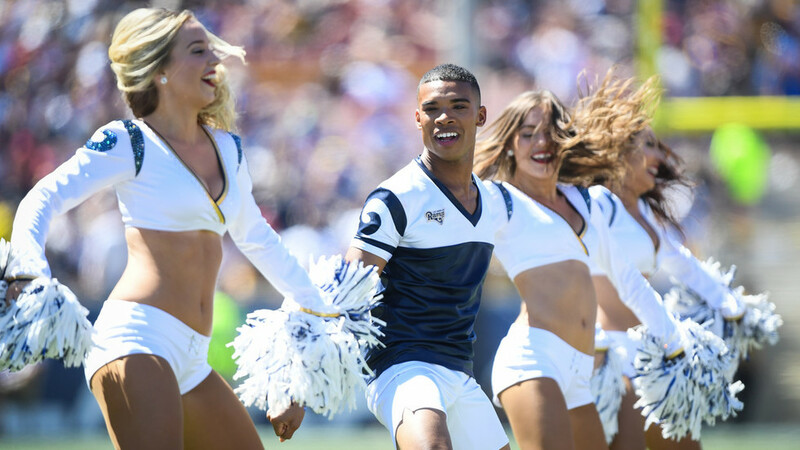 Peron and Jinnies made the headlines last year after making it on the Rams’ cheerleading squad, coming through a rigorous audition process to become the first men in the role in the NFL. The two California dancers also encouraged other men to try out for NFL cheerleading teams, including Jesse Hernandez, who made it on the New Orleans Saints’ team. The news about the male dancers’ upcoming performance at the Super Bowl was met with mixed reactions on social media, with some users even vowing to snub the big game. Others congratulated the duo on their historic achievement, praising the dancers for promoting values of diversity and inclusion.